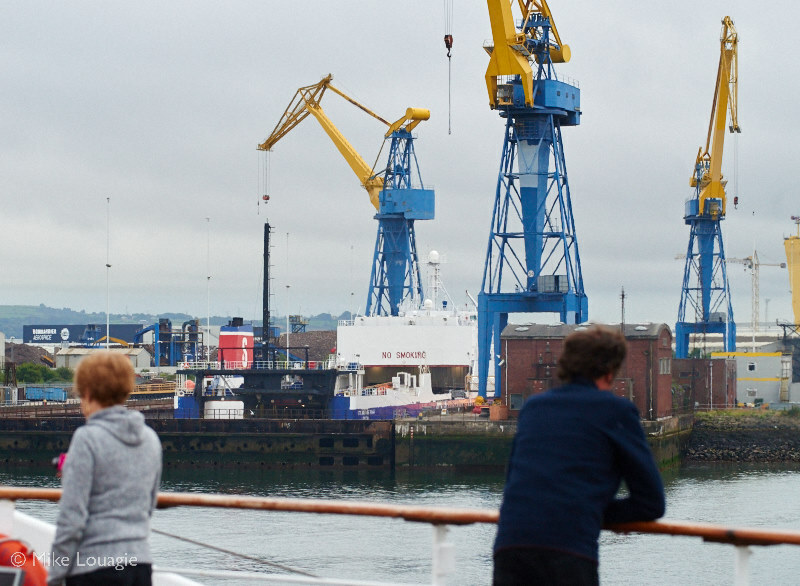 STENA HIBERNIA and STENA SCOTIA have started operating together on the Belfast – Heysham route on 22 August. STENA HIBERNIA went to the local Belfast shipyard Harland & Wolff to freshen up a bit and to get an engine overhaul (see photo). STENA PERFORMER will return to Seatruck Ferries, who will use her on Heysham – Warrenpoint. Sister vessel STENA PRECISION will be replaced by STENA FORERUNNER, and will return to Seatruck Ferries after a drydock. Stena Line extended the contracts for Godby Shipping owned ro-ro vessels MISANA and MISIDA until December 2019. Both green ships will for the time being operated on Rotterdam-Killingholme and Rotterdam-Harwich. TT-Line has refurbished the two ro-pax ferries NILS DACKE and ROBIN HOOD. The latter left the Oresund Drydock shipyard in Landskrona, Sweden end of July. UN Ro-Ro has lengthened ro-ro UN KARADENIZ in Turkey. CLdN has announced that they will have two direct calls between Belgium and Spain as from September. Seabourn Freight has launched its website for the new ferry service between Ramsgate and Ostend. When the operation will start and which ships will be used is unknown.